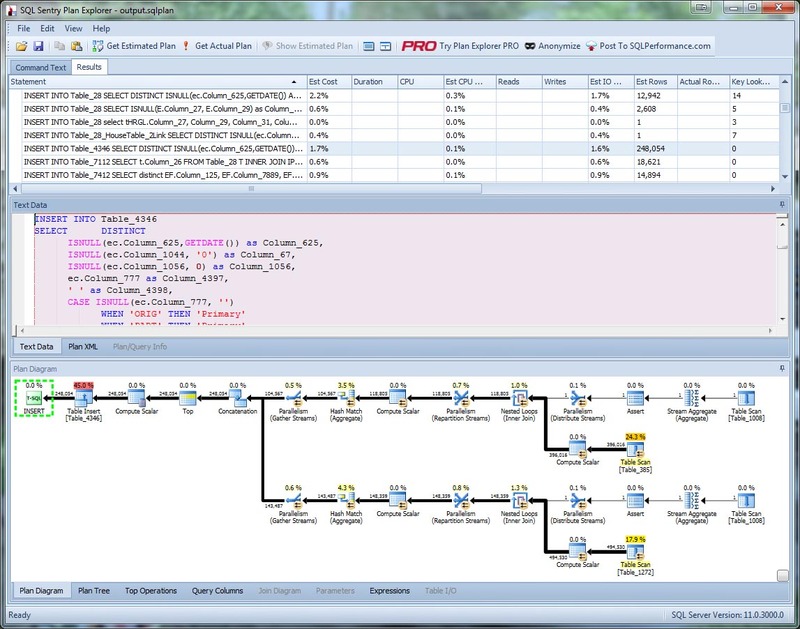 As a DBA, we’re often asked to troubleshoot performance issues for stored procedures. One of the most common tools at our disposal is the query execution plan cached in memory by SQL Server. Once we have the query plan, we can dissect what SQL Server is doing and hopefully find some places for improvement. Grabbing the actual XML query plan for a stored procedure from the cache is fairly easy using the following query. From this point, we can open the XML query plan in Management Studio or Plan Explorer to start our investigation. But what happens if SQL Server returns NULL for the query plan? Let’s back up a little bit. We were pretty sure the query plan is still in cache, right? Let’s verify it. Sure enough. The query plan is still cached in memory, and we even can even see the plan_handle. So why did our first query not return the XML plan? Let’s copy the plan_handle and manually run it through the sys.dm_exec_query_plan function. Why are we getting NULL returned for the XML query plan when we know is in the cache? In this case, because the query plan is so large and complex, we’re hitting an XML limitation within SQL Server. “XML datatype instance has too many levels of nested nodes. Maximum allowed depth is 128 levels“. Let’s try to pull the text version of query plan. It looks as though we have solved the issue; however, we didn’t. Management Studio has a 65535 character limit in grid results and 8192 character limit in text results. Our query plan has been truncated far from the end. Now it seems we are back to square one. We still know the query plan is in cache, but we just need a tool other than Management Studio to retrieve it. This is where Powershell enters the picture. With Powershell, we can create a simple script to execute the sys.dm_exec_text_query_plan function and then output the data to a file. All we need is to pass two variables. The first is the SQL Server name where the plan is cached, and the second is the plan_handle. The final step will use System.IO.StreamWriter() to output the data to a file. The Powershell script will save the entire XML query plan to a file named output.sqlplan. As you can see below, the actual plan was over 5MB. Finally we’re able to view the entire query plan in our favorite tool and see the complexity of the stored procedure. This is just another example of why DBAs need to set aside some time to learn Powershell. The entire script is posted below. Feel free to modify it as needed to fit your environment. #   Purpose:      Used to retrieve an XML query plan from cache. #   Prerequisite: Powershell must be installed. #Grab the path where the Powershell script was executed from. $SqlCommand = "SELECT query_plan FROM sys.dm_exec_text_query_plan(" + $PlanHandle + ",DEFAULT,DEFAULT);"
$FileName = $path + "\output.sqlplan"